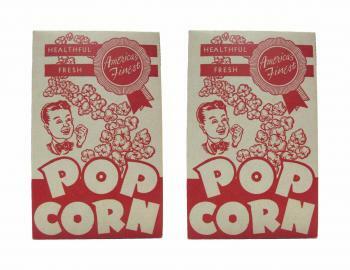 Front and back views of red and white America's Finest Popcorn box. Panels include attributes "Healthful" and "Fresh." Made of cardboard and measuring 7"H x 4-1/2"W x 2"D.